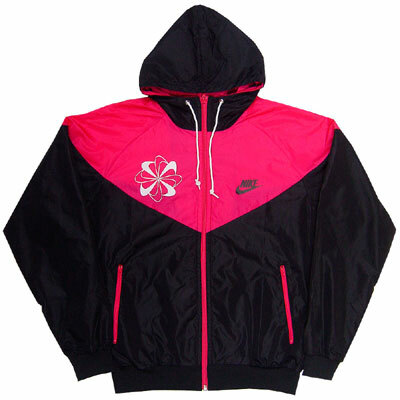 A Re-Issue of the amazing Nike Original Windrunner with original vintage colors back in the days. 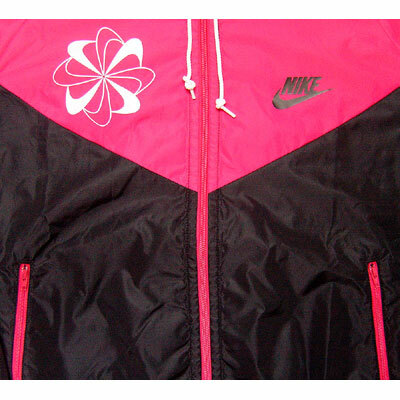 This time in a Black Cerise White Black colourway with a Pinwheel print. This is an exact replica of the first ever Nike Wind-Runner. 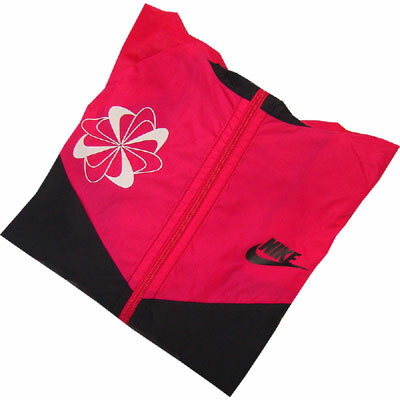 Designed by Geoff Hollister and originally called the cape suit it was the first piece of Nike apparel to be worn at the Olympic event, namely the 1980 Olympic Track and Field Qualifying Trials in Eugene, Oregon. It was called the "cape suit" as the distinctive chevron yoke was inspired by the capes worn by the Pacific Coast Native Americans, specifically the Nootkas of the North coast and "suit" because Geoff designed it as a two piece outfit. 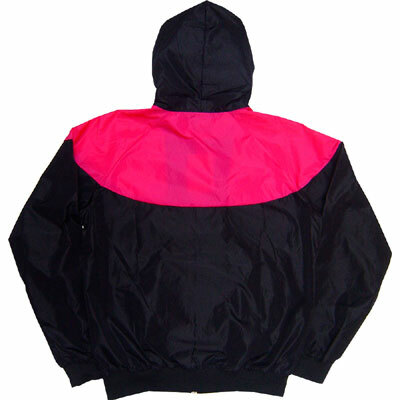 In the 1982 apparel catalogue it was re-christened the Wind-Runner and immediately embraced by an entire generation of b-boys and high street fashionistas.